Acne is the work of the devil, there’s no contesting that. Still, whilst some of you are blessed with the odd spot here and there, and believe me that is a blessing because there are others who suffer from actual acne. Everyone is affected differently however even if you’re on the mild-moderate spectrum then like me you’ll have some sort of scarring left behind. I won’t go into huge detail about the different kinds of scars there are, as our good friend google can help you out with that. Today however I’ll be looking at tackling the more difficult task of covering pock marks/actual damage to your skin rather than pigmentation or marks left behind. There are three different beauty tools that I recommend you all to try. Stippling brush – A stippling brush is your best friend if you have any kind of skin tissue scarring. I have tried out a range of brushes and my number one recommendation would be the MAC 188 Duo Fibre face bush or my personal favourite the smaller 187. The brush is made out of synthetic (black bristles) and goat (white bristles) fibres and is a brilliant at applying and blending face powder, liquid foundation, pigments, and cream products. I know a lot of you swear by real techniques stippling brush but believe me when you’ve tried out the one from mac you’ll notice a HUGE difference. The real techniques bristles are quite stiff and when using a stippling motion on your face it eventually starts hurting. I myself prefer liquid or cream foundation. If you’re using liquid, squirt a little bit on to the back of your hand and dip your brush on to your foundation vertically. Next stipple all over your face, using a little more pressure over the areas that have the scarring. Be sure to get into all the nooks and crannies. 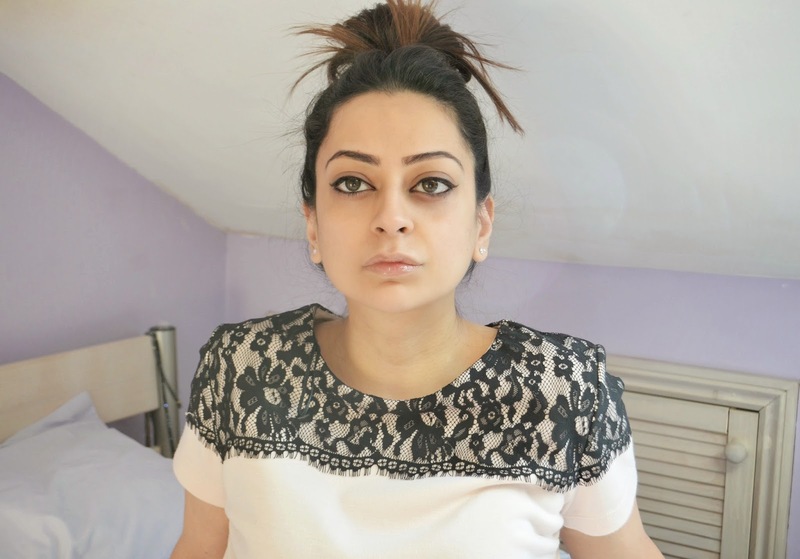 Don’t worry if your foundation is looking a little blotchy at this point because the next bit is it blend it all out. For this, use only the white bristles with a really light hand. swirl the brush in circular motions blending outwards. A quick tip is that if you have any facial fuzz, makes sure your last strokes are in the direction that the hair sits. It gives you a more even and flawless finish. Primer – This should be your other best friend when trying to create a flawless base. More specifically, a silicon based primer is what you need. These are said to fill in fine lines and even out skin textures. I can’t say they’re any good for your skin, but for occasional use I’d say it’s ok to use. My recommendation would be SmashBox Photo finish Primer. 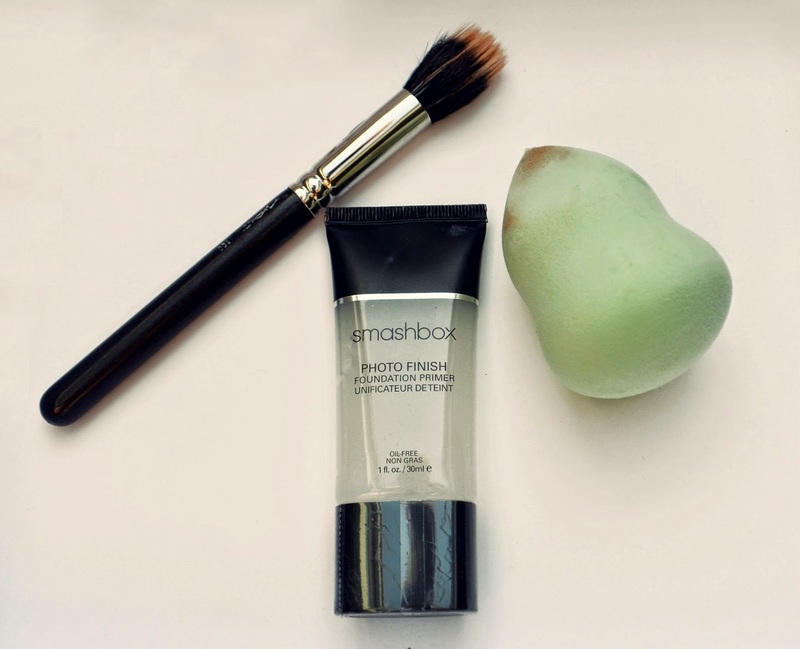 Smashbox are billiant and have a primer for all your skin types and needs. It’s so easy to apply and doesn’t leave a sticky residue either. I like to apply the primer using my fingers and I use a tapping motion to put it on, particularly where there is more scarring. One thing to be wary of when buying a primer is that a lot of brands will boast to shrink your pores. Sorry to break it to you all but your pores will never shrink. They may open and close depending on room temperatures, but the size doesn’t change. Smashbox say that their product helps to blur pores which is pretty accurate. Beauty Blending sponge – I was a little late to this beauty tool. I just didn’t like the idea that I would lose so much product to the sponge whilst it soaked it up. However I recently reviewed a 4-in-1 makeup blending sponge by Nanshy and found it to be amazing. By soaking it in water first, it swells up and so less product was soaked in. I’m not sure if this was the idea behind it but it’s what I found. It was great for creating an airbrushed look. The sponge is extremely soft so I can press a little harder and use a stippling motion to get into all the nooks and crannies. It’s ergonomically crafted so it’s easy to hold and really simple to create a flawless finish by layering. You will have to excuse my face lol. What products do you use to create your base? Thank you for this post. I am struggling with pockmarks too and they're so annoying. I'm going to give the primer and mac brush a try.